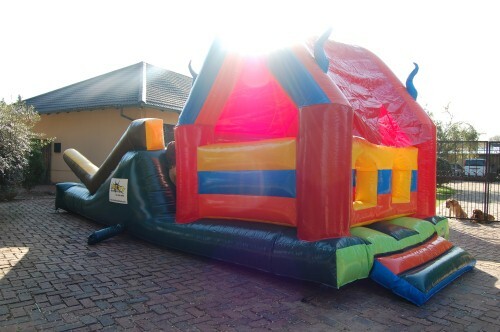 The Island Adventure Castle is a 3 in One Castle. 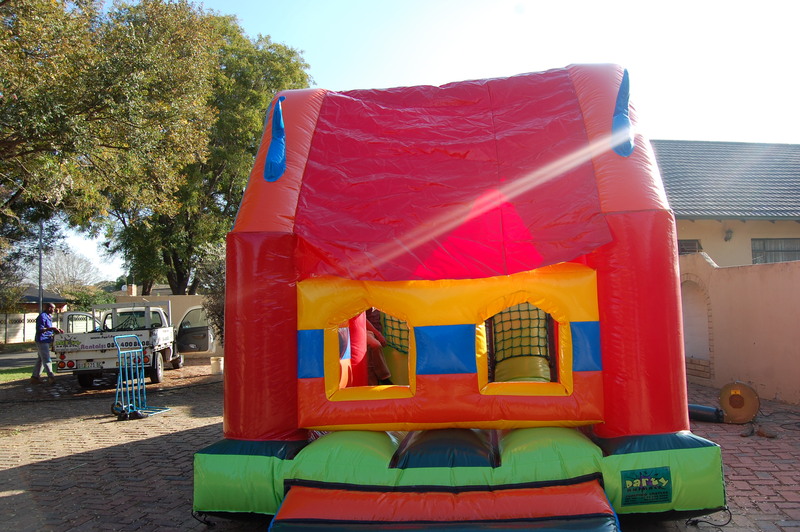 It is a jumping castle with a slide and ball pond. 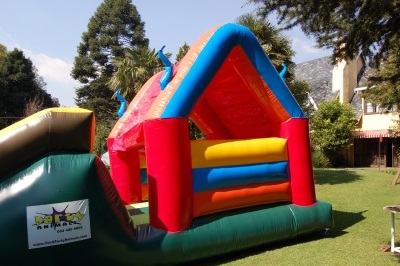 This castle is very popular as it serves both as a dry slide and a wet slide. In winter the ball pond can be filled with “coloured fun balls” and in summer it can be used with water. 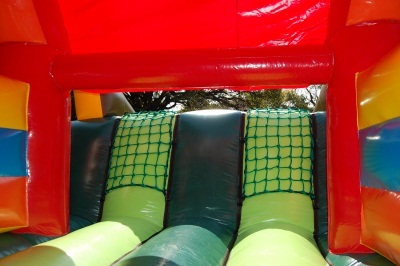 You can put the garden hose through the cargo net on the slide and down the front of the slide. The pond will gradually fill with water as they slide. 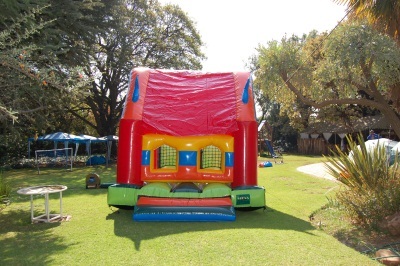 The “coloured fun balls” can be rented separately. The pond takes +-600 balls. Our bag’s of balls includes +-200 balls. It is great to add a bit of bubble liquid or bubble bath for more fun and a foamy effect. 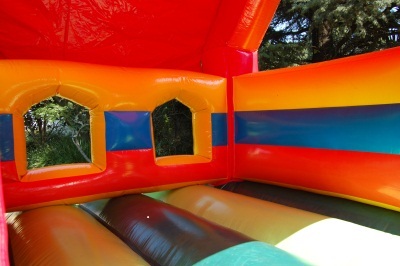 Kids enter the castle through the two windows on the back of the slide. 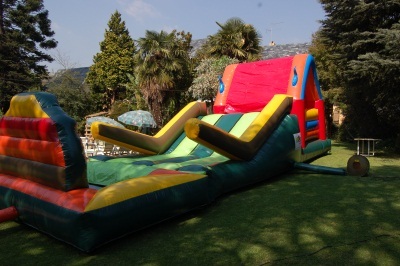 They are then inside the jumping area of the castle. 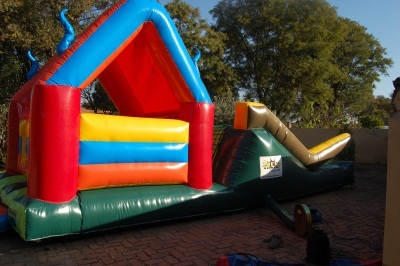 From the castle they can go onto the slide by climbing the cargo nets. The slide ends into a pool at the bottom. 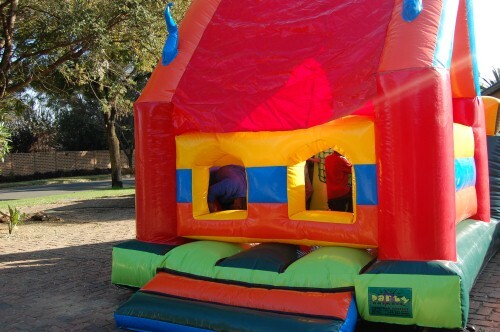 This castle can also be put up next to a pool if space permits. The pond is detachable and can be used separately with the balls or water. 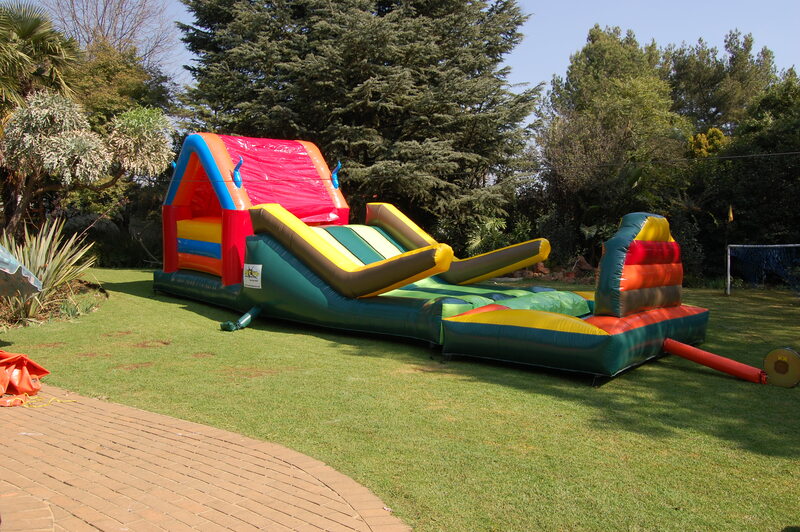 This 3 in one combination is also great for School Events, Corporate Events and Team Building Events. Bright colours: Red, Yellow, Spec Blue, Brown, Orange and Lime Green. 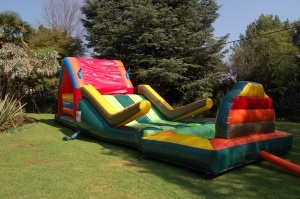 The Slide and castle are inflated by a 1.1kw motor and the pool extension by a .75kw motor. All motors have a 15m extension lead. If your power supply is further than 15m from where the castle will be placed, you will need to supply an additional extension lead. 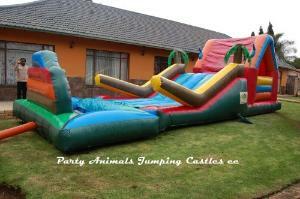 These are not supplied by Party Animals.